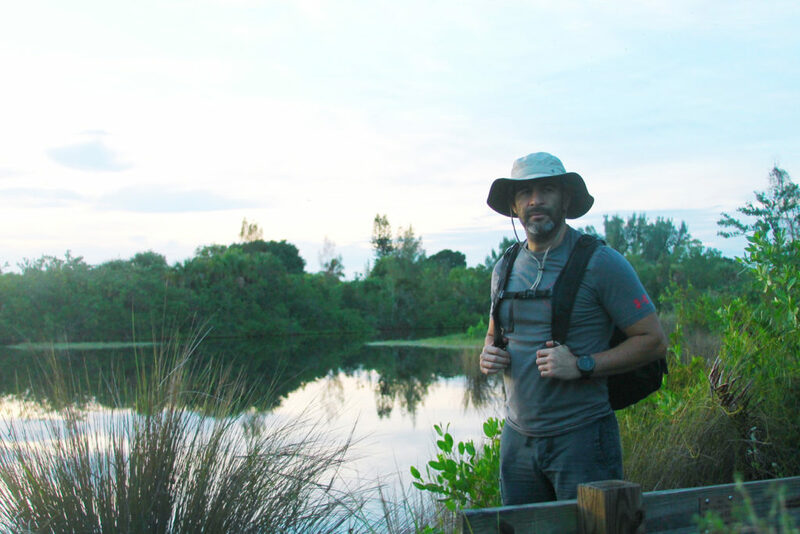 Consisting of 97 acres, that includes mostly salt marsh, some upland and a lot of rock just under the surface, Rotary Park in Cape Coral is the result of funding from a grant from the Florida Department of Environmental Protection stipulating the area be preserved. The preserved area can not be developed (that is why it is called a preserve) excluding the 9 acres of upland that the building, the dog park and the open areas currently occupy. 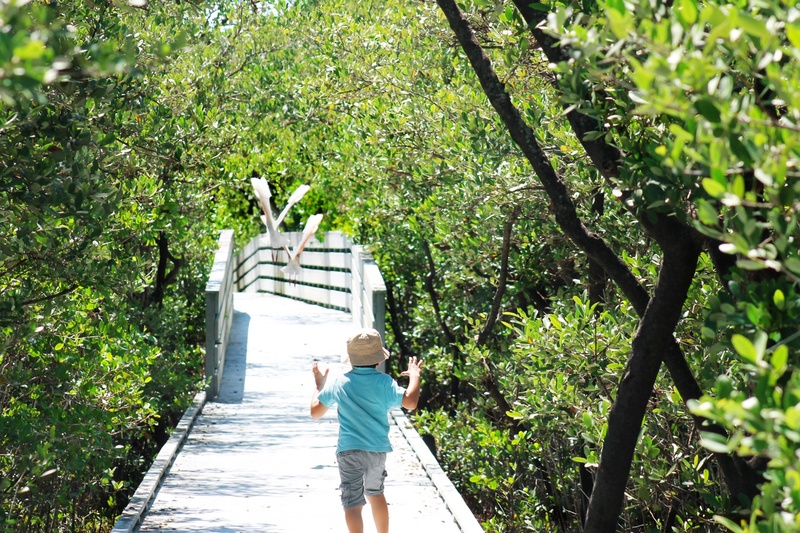 There’s something for everyone from hiking in the natural trails and checking out the butterflies and craters at the environmental center to a dog park and a playground for the kids! The 4,200 square foot environmental center is used for gardening and nature related classes, exercise classes, summer camp, and is home to the annual Burrowing Owl Festival, and several large native plant sales throughout the year. The facility is also available to rent for small to medium sized gatherings, as long as you don’t mind partying with a few creatures! A variety of small critters reside in the nature center including snakes, frogs, lizards and turtles. The nature center offers some very interesting classes including: gardening, wildlife, nature, ghost hunting, kayaking tours, and exercise classes. Rotary Park is the home of the Tom Allen Memorial Butterfly House, donated and cared for by the Cape Coral Friends of Wildlife. You can view all the beautiful butterflies and plants from the outside of the house every day and pick up information on butterflies and how to attract them to your yard. 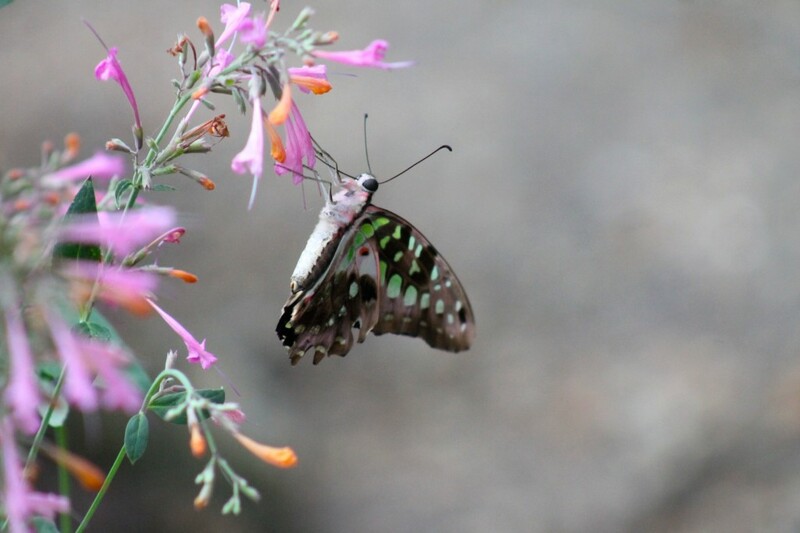 Free tours of the butterfly house are given each Monday, Friday and Saturday at 10:30 a.m You can also check out the butterflies at the butterfly garden. If you like hiking Rotary Park has two very different hiking paths. One of the paths, off of Rose Garden Rd and south of El Dorado Pkwy, takes you on a boardwalk lined by mangroves. The boardwalk ends at the river and along the way there are a couple of watch towers that you can climb and where you can get a great view of the natural reserve. The other path is located in the main part of the park and has sandy paths throughout the salt marsh. There are also benches and picnic tables along the way, some of them with a view to the marshes and lagoons. The area close to the Environmental Center has a dog park, playground, a large field to throw a frisbee or kick a ball and outdoor exercise equipment. The playground is one of my kids favorite playgrounds, just make sure you go early in or later during the day if the day is hot as there is no shade and it get’s pretty hot n the summer. There are also many picnic tables some of them under pavilions which you can rent out for birthday parties or get togethers. Outside the Environmental center there is also a “little free library” where you can exchange books for free.